Can you imagine a time when weather forecasts were not available, or when people did not know that storms followed predictable paths? The science of meteorology was in its infancy when the Smithsonian was founded in 1846, but over the next three decades, the Institution developed a national network for collecting meteorological data, and made possible some of the earliest weather forecasts. When Joseph Henry became the Smithsonian's first Secretary in 1846, he brought with him a longstanding interest in meteorology. In the 1820s, as a professor at the Albany Academy in New York, he had proofed data sent in by weather observers throughout the state. During his time at Princeton University in the 1830s and 1840s, Henry continued to stay abreast of meteorological research. In the Smithsonian's second annual report, Joseph Henry predicted that advances in telegraphy would result in the ability to predict storms. The telegraph had been patented by Samuel Morse in 1837, and overland wires would eventually allow for communication across the United States. By 1849, Henry had made agreements with a number of telegraph companies to provide the Smithsonian every day with brief weather descriptions. In 1856, he began using the data to display daily conditions on a weather map mounted in the Castle. Henry shared this information with a local newspaper, giving birth to its daily reports of weather conditions in other cities. 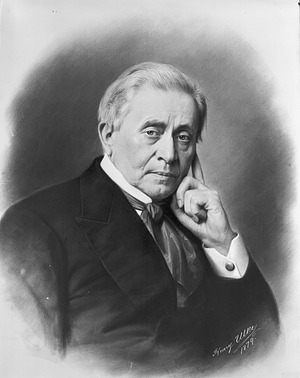 From 1861 to 1865, Joseph Henry's meteorological program was severely disrupted by the Civil War. 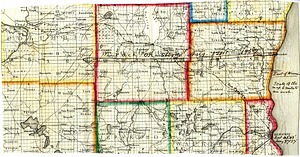 Weather data took a back seat to other important business requiring telegraph lines, and secession prevented southern observers from using the postal service7 to mail their registers. Many observers joined the war effort.8 Others wrote to say their weather instruments had been confiscated or destroyed.9 The strained finances of the Smithsonian, which depended in part on annual Congressional appropriations, made it unable to comply with observer requests10 for barometers, rain gauges, or other such items. 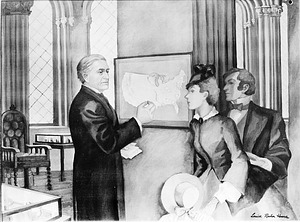 In 1870, Henry succeeded in transferring the weather forecasting system to an arm of the federal government—the War Department's Signal Service. The Smithsonian's meteorological network had recovered and now included more than five hundred individual observers as well as 140 Army posts. 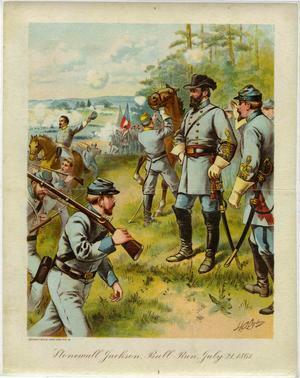 In 1874, the Signal Service took over the volunteer observer system.11 For Henry, the transfer of the meteorological project to the Army was in keeping with his long-held belief that the Smithsonian should "devote its energies to no field of research which can be as well cultivated by other means. "12 The Army continued to be responsible for weather data collection and forecasting until the establishment of the US Weather Bureau, later renamed the National Weather Service, in 1891.